Set in New York City, Ship of Souls features a cast of three African-American teens: D, a math whiz; Hakeem, a Muslim basketball star; and Nyla, a beautiful military brat. When D’s mother dies of breast cancer, he is taken in by Mrs. Martin, an elderly white woman. Grateful to have a home, D strives to please his foster mother and succeeds — until Mercy arrives. Unable to compete with a needy, crack-addicted baby, D disappears into the nearby park and immerses himself in bird watching. At school, he unexpectedly makes friends with Nyla and Hakeem, but just when D thinks he has finally found a way to belong, an unexpected discovery in the park changes everything. A mysterious bird leads D and his friends on a perilous journey that will take them from Brooklyn to the African Burial Ground in lower Manhattan, and into the very realm of the dead. Their courage and loyalty are tested every step of the way, but in the end, it is D who must find the strength to fulfill his destiny. Steeped in history and suspense, this inspiring urban fantasy provides an enriching experience that readers will find hard to forget. Genna is a 15-year-old girl who wants out of her tough Brooklyn neighborhood. But she gets more than she bargained for when a wish gone awry transports her back in time. Facing the perilous realities of Civil War-era Brooklyn, Genna must use all her wits to survive. 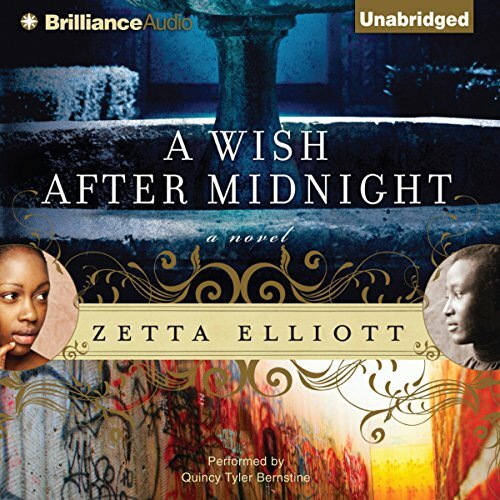 In the tradition of Octavia Butler’s Kindred and Madeleine L’Engle’s A Wrinkle in Time, A Wish After Midnight is the affecting and inspiring tale of a fearless young woman’s fight to hold on to her individuality and her humanity in two different worlds. This story is so engaging, you don’t want to stop listening. 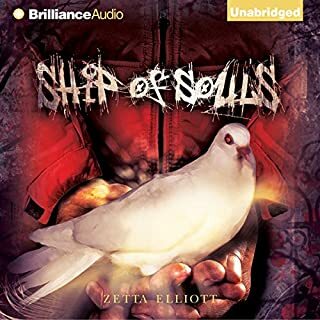 Zetta Elliott has spun a tale filled with history, social commentary, and of all things TIME TRAVEL! The characters are well-developed and real. The protagonist, Jenna, is a young woman of great strength and conviction. I really like her. This is a wonderful read. Reading through the beginning was ire agony. The narrator’s voice is painful to listen too. I have a 16 year old and the voice reminded me more of a whinny toddler. I listened to the book at times without headphones and even my children and a friend thought that the performance was so bad, we had to turn it off. I literally forced myself to keep going because I was hoping for a good story somewhere but overall felt disappointed. Although part 2 was better than part 1, and the performance improved, the abrupt ending left me confused, just as much as how/ what happened. I’ve read a lot of really good books on the history of slaves in this country but this book just didn’t do it for me. Sad to say. 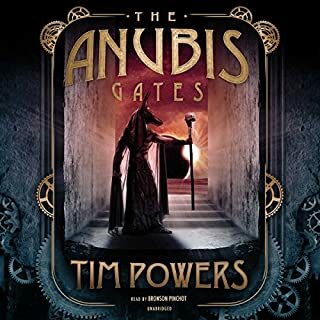 I would definitely recommend this, because the narrator is fantastic and the story is great as well. The main character is a "quiet type," but she has a real inner strength and is a survivor whose story is compelling. Also, the story touches on narratives about the Civil War that many people might have forgotten about, ignored, or never been taught. Jenna gets thrown back in time to a period just after the Emancipation Proclamation and just before the draft riots. 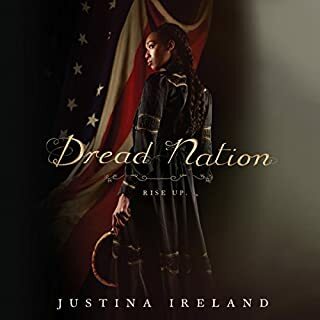 A lot of the book is devoted to describing the rising tensions between the free African Americans and the Irish immigrants leading up to the riots. The two groups have to compete for jobs, acceptance, food, etc. while both being scorned by the upper classes. I'm a history nut so I knew about the events she describes, but some people might not even know there was a draft during the Civil War. What does Quincy Tyler Bernstine bring to the story that you wouldn’t experience if you just read the book? 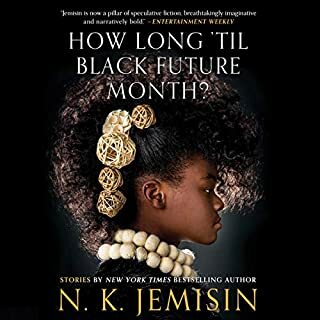 I have been listening to audiobooks for a little while now, and the performance of Quincy Tyler Bernstine is one of the best -- if not THE best -- audiobook performances I have ever listened to. 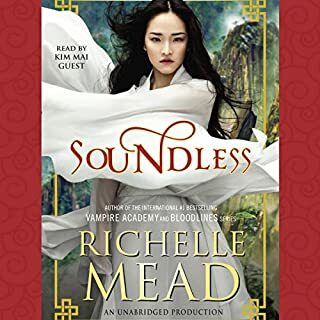 She has such an amazing sense of the character's voice, intonations, emotions, pacing and speed, and just...wow, what a great "listen"! This book is really intense, so I didn't want to listen to it all at once (plus, the length would make that a bit difficult). At times, it can feel like the characters are going through a neverending parade of misery, and you need a break from all the depressing stuff. Not for the fainthearted, since parts are pretty violent. 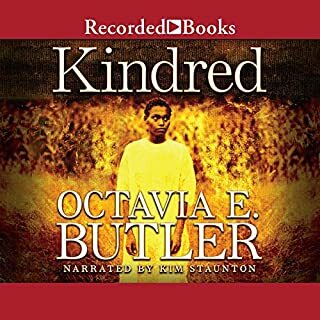 Zetta Elliot is Octavia Butler for teens. In A Wish After Midnight her works shows a high level of research and artistry. She educates youth on issues of race and gender all the while entertaining them. Her character Jenna evolves from an insecure girl into a confident young woman. She tells stories that must be told.